“The stage is set, the curtain rises, we are ready to begin…” Journey back to 19th Century London in the new trailer for the upcoming SHERLOCK special! Back in July, Stephen Moffat gave fans our first look at the upcoming SHERLOCK special. We follow our favorite consulting detective and company back to Victorian-era London (though the story won’t have any direct link to overall series). EEEEP! I’m so excited! I love that Mrs. Watson and Mary are there and looking particularly lovely in their 19th Century finery. Might Molly or even Moriarty make an appearance? Details are still pretty scant…we know the special is “coming soon” and a Christmas-time arrival isn’t totally outside the realm of possibility. 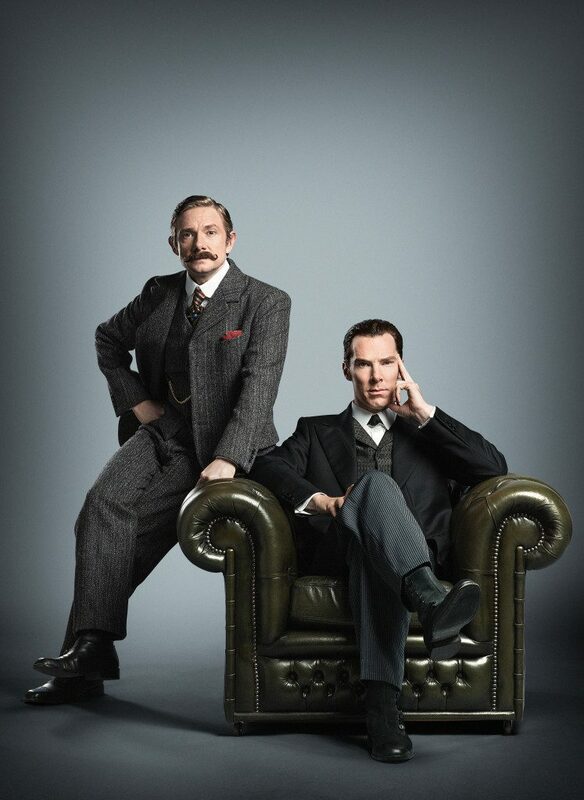 We also know that the SHERLOCK special will not only be broadcast on television, but also in select theaters worldwide! Enjoy the trailer and the clip from SDCC. Stay tuned to We So Nerdy because we’ll bring you news about the SHERLOCK special as soon as it’s available!